Find out how Elsternwick Osteopathy can assist you, by calling us on (03) 9530 0044 or completing the form below. We’d love to hear from you. 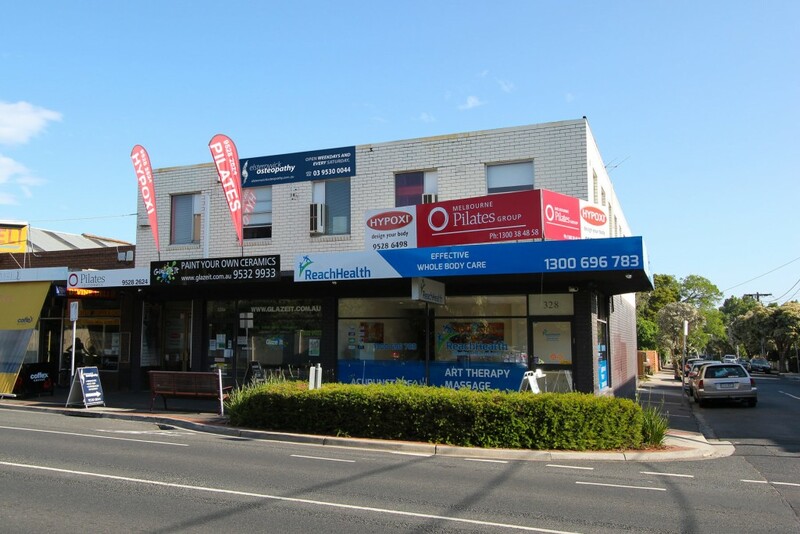 Elsternwick Osteopathy is located upstairs at Level 1, 330 Glen Eira Road in Elsternwick, in between Kooyong and Orrong roads. You’ll find us opposite the St Mary’s Anglican Church, next door to the yellow building that is Divine Deli. Need directions? Simply click on the red marker in the Google Map below, and then the link “Directions to Elsternwick Osteopathy”.